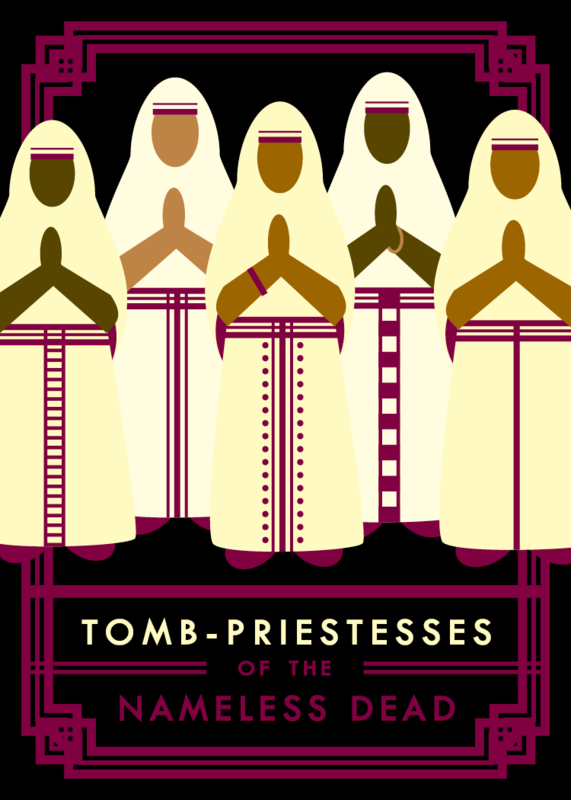 Partly inspired by Ursula K. Le Guin’s fantasy novel, The Tombs of Atuan (1971), this is a live-action game for 6-10 players, exploring sporadic events in the lives of a group of priestesses charged with serving dead spirits—spirits that are nameless, ancient, and often hostile. The players will take turns portraying either the priestesses or the Nameless Dead in a series of scenes that are chronological but not clearly located in time. Moments, days, months, or years may pass between scenes. There is also no fixed ending to the game, so things continue in a cyclical pattern—even including characters dying or leaving the sisterhood and new characters being inducted as members—unless the characters themselves decide to break that pattern. The game is intended to be played in a single session of 3-4 hours. The folks organizing the game should also be able to participate as players, as well as answering any questions as they come up in play.